ZPower will attend the Medical Device and Manufacturing Show in Anaheim on February 5th-7th, 2019. Make sure to attend the Tech Theater presentation by our very own, Tim Powers, Director of Applications Engineering on Thursday, February 7th at 12:30pm. See details below! 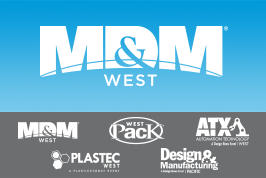 MD&M West is a must-attend event for any medtech professional, and there’s no other medtech event in North America as large or as comprehensive. Don’t miss this showcase for practical applications of manufacturing technologies from the world’s most innovative companies!